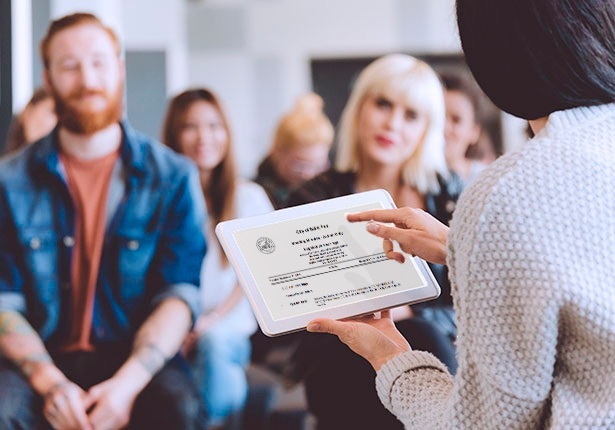 Ensure public meetings run smoothly, increase internal efficiency, and document decisions proficiently so policymaking is open and available. With easy-to-use tools that simplify your most time-consuming tasks, Granicus solutions help you get the job done. Watch the video to learn more. Save time and paper by automating agenda approval and meeting minutes management. Streamlined workflows make it easy to juggle changing priorities. 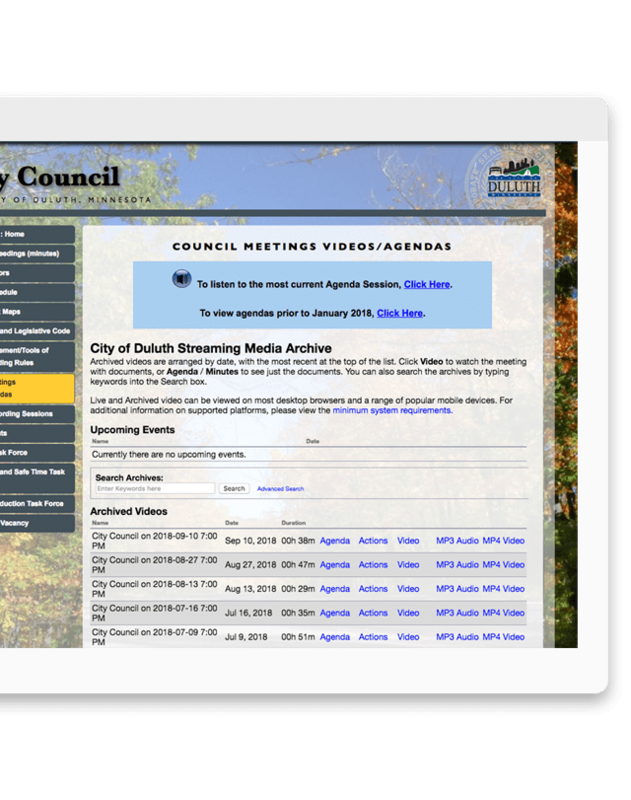 Clerks and council members can access meeting materials on any device to view and edit agenda items in real time. 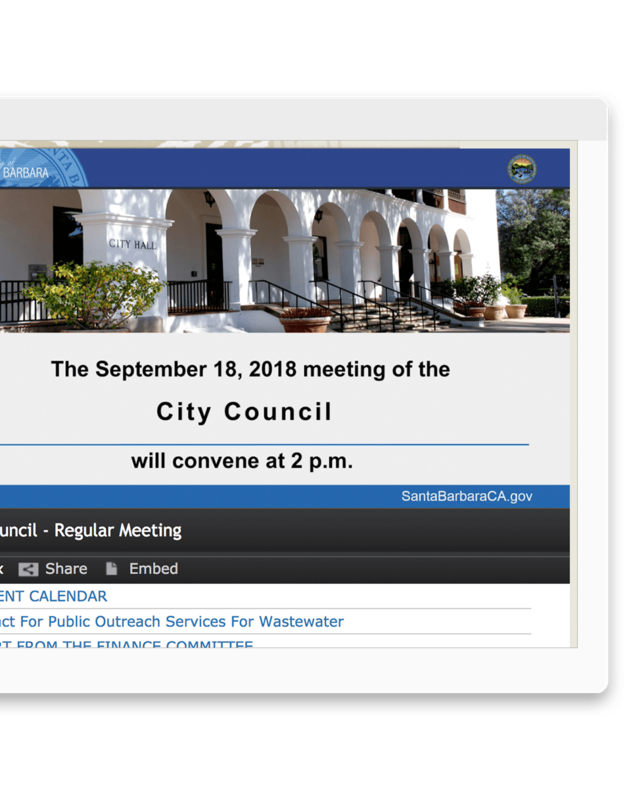 Offer citizens and interested parties digital access to meeting agendas, live webcasting, video recording, and minutes​ in a central, searchable portal. 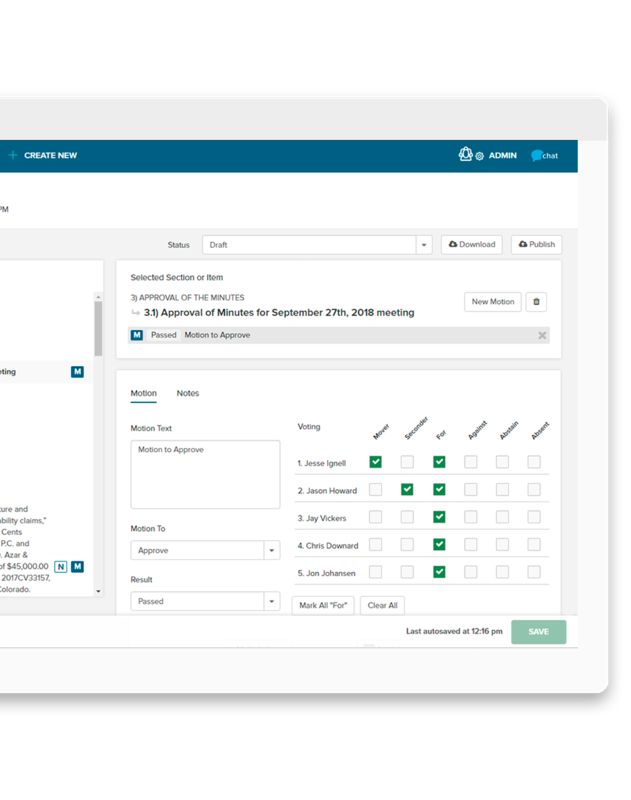 The govMeetings cloud platform scales and adapts to support the full legislative process. Create new files for meeting agendas and digitally organize them to a customized approval sequence. 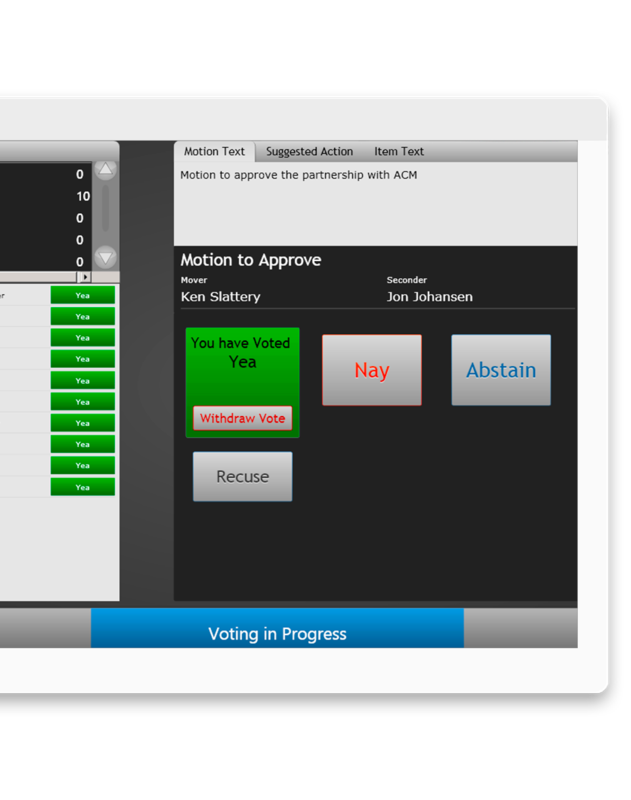 Record all votes and notes through a simple interface and automatically transfer everything to minutes creation. Modernize the voting process with instant digital vote capture that eliminates tedious manual counting. With easy-to-use media management tools, you can schedule and broadcast live webcasts while simultaneously recording and archiving the live content. 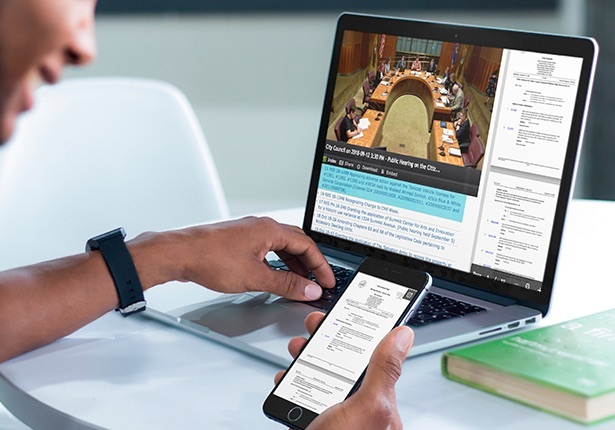 Agendas can be imported prior to each meeting, allowing video to be indexed in real time, which eliminates hours of follow-up work after an event has ended. 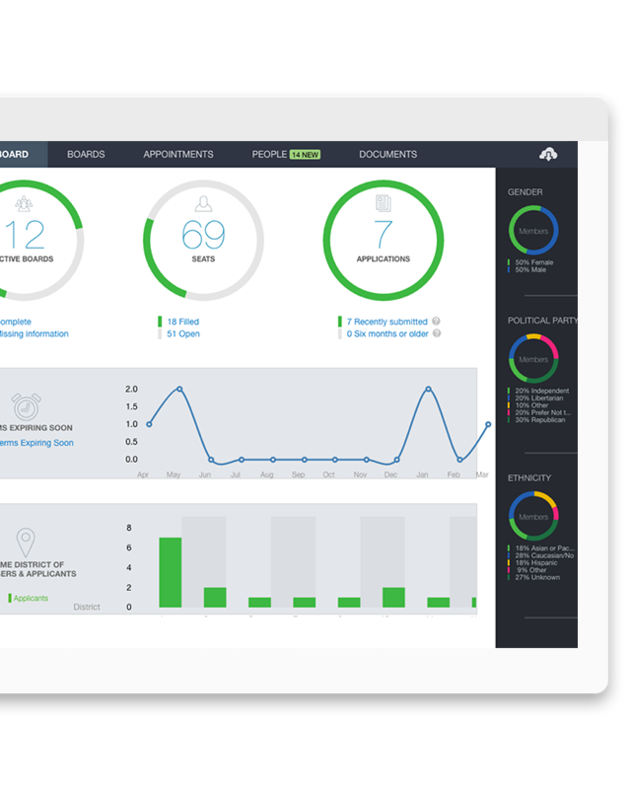 Keep track of board appointment expirations, open and filled seats, and applications with an easy to use dashboard view. 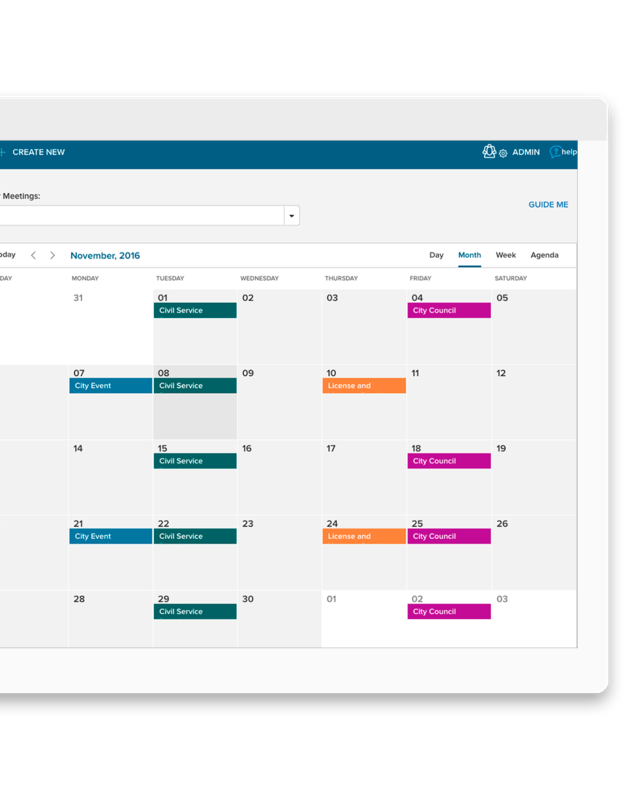 Over 2,400 local governments are using Granicus' agenda meeting software to manage their public meetings processes, fill their vacant board positions and improve internal efficiencies. Granicus manages over 5 million legislative media files that are accessible to citizens. Legislative data stored in secure and redundant data centers. Greater than 12,000 unique video stream requests per day. We have over 1 Petabyte of video stored securely - that's roughly 14 years-worth of public meetings.